I downloaded Apple’s iTunes 10 last night, with its new logo and funky new features, the most talked about of which, and the one I was looking forward to investigating the most, being Ping. 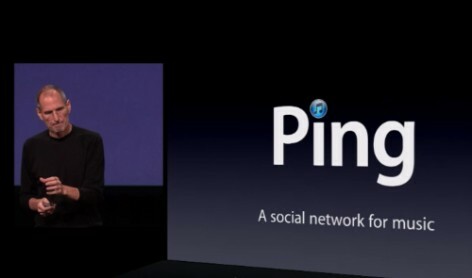 Ping is Apple’s ‘social network for music’. “Follow your favourite artists and be part of their inner circle”. None of this sounds in any way of interest to me. I don’t want to know what my friends are listening to. I’m not bothered about letting them know what I’m listening to. They don’t care. Isn’t that the point about music? It’s so personal. The quotes above all sound as though they could have been written for the Bay City Rollers Fan Club members on an ad in ‘Look In’ magazine circa 1973. Maybe that’s it! Ping could work for 12 year old Justin Bieber fans – but is that the demographic being targeted here by Apple? As they are also selling film rentals, I doubt it. Maybe I’m completely wrong, but Ping sounds to me like Apple trying to shoehorn a square peg into a round hole. “We have to get in on this social thing. Come back to me some ideas”. It’s not a natural fit in anyway. If I was minded to tell my friends what I was listening to (Billy Bragg and Wilco’s Mermaid Avenue), I’ll do it on this blog thank you very much. Not that you care. I promise I’ll never tell you what I’m listening to again. Social network for music? Wasn’t that tried with the original Napster and the music industry shut it down? Seems like they want a Social Network for making money and for what they want people to use it for, but not when people use it for what they actually do want to use it for. If friends start wanting to share the music they are as near-as-damn-it encouraging with this, then they’ll be on their backs and threatening to close dpwn their net connection. I think you’re right – it’s a grown-ups response to what the kids are doing, to appear hip and trendy. Also a bit disturbed about this “friends to be” part – I thought grooming on the internet was to be discouraged. Not sure ‘grooming’ is an appropriate term! More like watching your Dad dance at a wedding?